Gary's blog discusses how parental behaviours are used to disrrupt their children's lives and suggests strategies for dealing with that. Some issues between separated parents are unimaginable. I have heard stories of children coached to call the other parent names; to misbehave; to not eat their food; to be mean to step-siblings. Indeed, over the years, I have interviewed children who have told me that and worse. Some parents in a bid to curry favor with their child will actually let them eat junk food as they want; miss school; stay out late; use drugs or drink alcohol or otherwise do as they wish just to make the reasonable parenting of the other parent seem inappropriate. Todays' theme is 'Accenrtuate the Positive' and below you'll find a mediation version of the popular song. ‘Mediation is an empowering process for the children, and it can lead to their parents making more informed and suitable decisions for the future’. 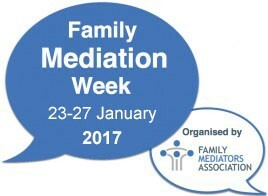 This simple statement by an experienced mediator has been strongly endorsed by children and young people who have experienced their parents’ separation.